So if you’re reading this, then presumably you’ve seen Split, the new film from filmmaker M. Night Shyamalan. And if you’ve seen Split, you know that Shyamalan managed to stealth-make a new Unbreakable movie, as the ending revealed that the events of Split took place in the same universe as Bruce Willis’ David Dunn, who’s still alive and very aware of the emergence of James McAvoy’s The Horde. So…what’s next? Hmmm, haven't seen split yet and I really want to. But I'm guessing I've just ruined something in split by stumbling on this thread. Also I wasn't aware that split was made my M night. @Apollon you meant Unbreakable threequel? When M. Night Shyamalan’s “Split” released late last month, fans were treated to a huge twist that revealed the film actually takes place in the same universe as the film “Unbreakable.” As it turns out, “Split” was an origin story for The Horde (James McAvoy) and ended with Bruce Willis’ character David Dunn popping up in a diner. With fans now freaking out over another possible “Unbreakable” film, one of its stars has come out to tease the possibility of a future sequel. “Split” grossed nearly $173 million worldwide on a budget of just $9 million. Shyamalan has stated that he has an outline for a “Split” sequel that would pair up McAvoy, Willis, and Jackson in one story — although a lot of that is still to be decided, as Shyamalan was only able to use Willis in the film thanks to Disney doing him a favor. With the film now becoming a bonafide success, it’s likely that the studio would want in on any future films. Jackson was asked about the potential of facing off against McAvoy in a sequel, and said that the actor’s character would make for quite the opponent. Jackson went on to say that after the film had been such a success, the likelihood of a sequel happening are pretty high, saying that he looks at “the success of that particular film” as a way of saying “I think that we might move forward.” All parties seem willing to come together for another “Unbreakable,” and fans certainly want it, so now the ball is in Shyamalan’s court. Love the first one and have always said I'd like to see a sequel, so I'm definitely up for this! A sequel to Unbreakable is complete and Universal Pictures will be releasing it worldwide on January 18, 2019. Both Bruce Willis (David Dunn) and Samuel L. Jackson (Elijah Price/Mr Glass) will return. 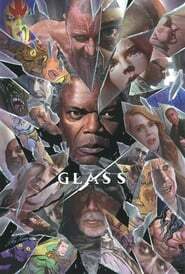 Glass will also be a sequel to Split, so we'll be seeing the return of James McAvoy (Kevin Wendell Crumb) and Anya Taylor-Joy (Casey Cooke) too. Shyamalan also said "it was always my dream to have both films collide in this third film". Tagging you guys since you showed an interest in the Split thread. I literally just read it on FB! Thanks for thinking of me, you adorable human being you!!! I am beyond hyped and happy and hyperventilating! YES!!! It's official! I love the title, too!